This one will work on any system even where pulse dialling is not activated. Can be removed later if required without any signs of it ever having been fitted. This is a very nice example of a GPO 332L with drawer. It has been stripped down and rebuilt after each part has been cleaned and polished. 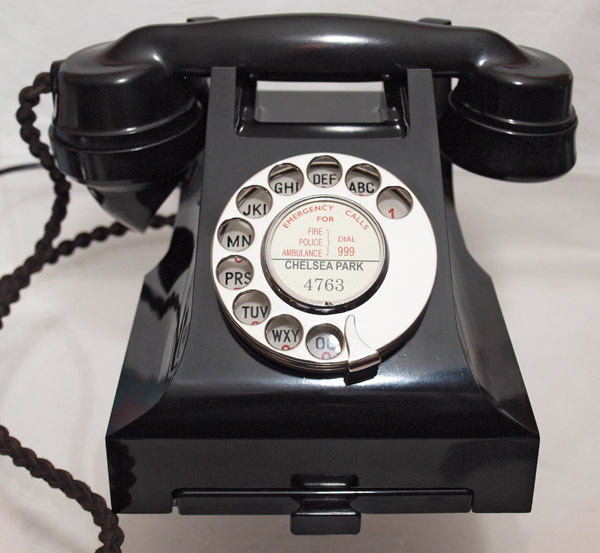 It has a genuine GPO metal backed No 12 dial with a stainless steel dial front and alpha numeric back plate. 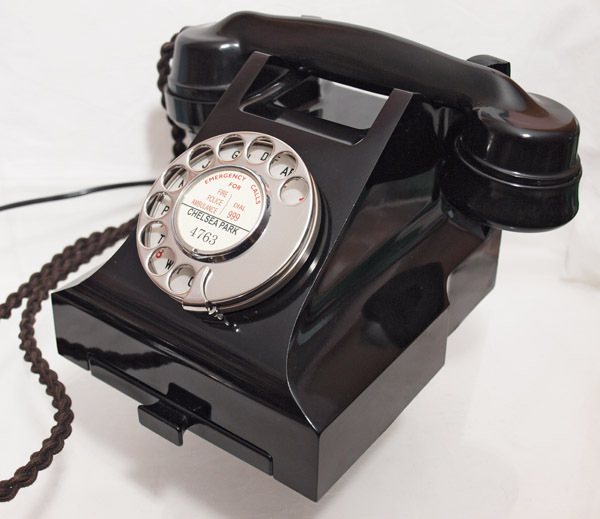 I have fitted it with a very best quality all British manufactured hand plaited braided handset cord, a GPO specification round plastic line in cord with a UK telephone plug socket and an electronic microphone to bring the speech quality up to modern standards. The handset is marked 164 54. 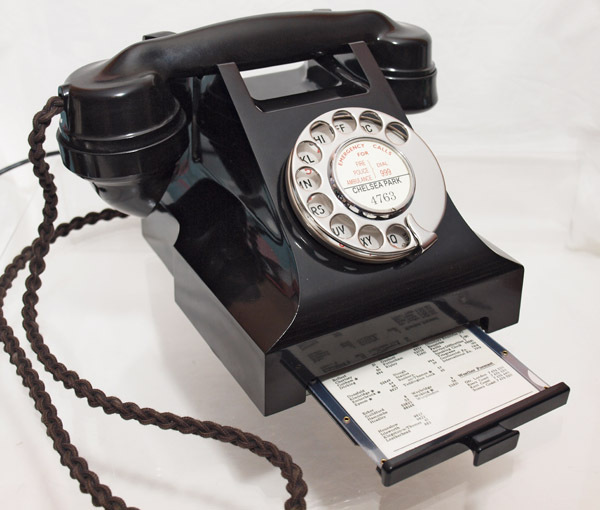 This telephone has been upgraded with a small electronic device to change the pulse dialling to modern tone and so enabling it to work on any modern network even where pulse dialling is deactivated on the network. The dial works in just the same way but the pulses go through a small box inside the telephone and convert them to modern tones. 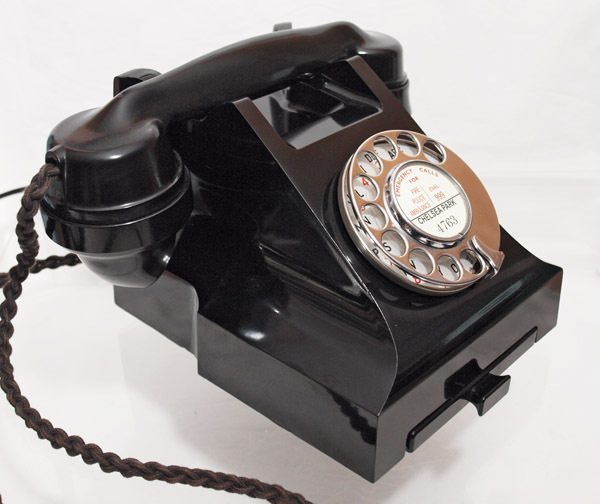 This can be reversed without any ill effect to the telephone as all the original components are still used. This part was quite time consuming to fit and was an additional cost to purchase.